"Protecting our Catholic conscience in the public square"
"Former Planned Parenthood Director Launches New Ministry to Abortion Workers"
"For the first time in our history, the federal government will force religious institutions to fund and facilitate coverage of a drug or procedure contrary to their moral teaching, and purport to define which religious institutions are 'religious enough' to merit an exemption. This is a matter of whether religious people and institutions may be forced by the government to provide such coverage even when it violates our consciences. "What we ask is nothing more than the right to follow our consciences as we live out our teaching. This right is not only about our ability to go to Mass on Sunday or pray the Rosary at home. It is about whether we can make our contribution to the common good of all Americans. . . . Without religious liberty properly understood, all Americans suffer, deprived of the essential contribution in education, health care, feeding the hungry, civil rights, and social services that religious Americans make every day." Read entire USCCB statement (español). 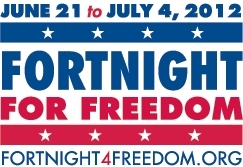 The Diocese of Dallas is joining dioceses nationwide in events highlighting the importance of defending our religious freedom during the "Fortnight for Freedom" from June 21-July 4. The evening will begin with the 5:30 p.m. Vigil Mass celebrated by Monsignor Robert Coerver, V.F., followed by an educational program in Sweeney Hall, presented by Frank Valenzuela of the St. Thomas More Society, the Catholic Lawyers’ Guild of the Diocese of Dallas, and closing with the Litany for Liberty (USCCB). For more information on Fortnight events in the diocese, including a Spanish-speaking event, visit dallascatholicadvocacy.org. 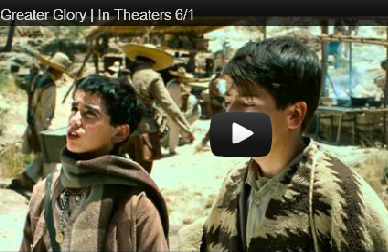 Film opens tomorrow, June 1 – Buy your tickets here! Stand Up for Religious Freedom Location Change: Dallas and Fort Worth organizers are merging efforts for one combined June 8 rally at the Fritz G. Lanham Federal Building in Fort Worth. (More info). National campaign sponsored by Pro-Life Action League and Citizens for a Pro-Life Society. Also on June 2, the national "Pill Kills" symposium will feature Dr. Angela Lanfranchi of the Breast Cancer Prevention Institute, EWTN personality Gloria Purvis, and ethicist and theologian Dr. Pia de Solenni. The seminar will be live-streamed from 9 a.m.-10:30 a.m. CST. Click here to register for free. From an early age, Catholics are taught to see God in their neighbor. The Catholic faith finds its fullest expression in a loving act of sacrifice by one stranger for another. Imagine the church’s surprise, then, to be told by the federal government that when a Catholic organization serves its neighbors, it isn’t really practicing its religion. That is the unacceptable principle at the heart of a mandate, issued in February by the Department of Health and Human Services, that requires religious organizations to provide health-care coverage for abortion-inducing drugs, contraceptives and sterilization procedures, even if their faith teaches that those drugs and procedures are wrong. That is what has prompted the Archdiocese of Washington* to go to court to protect our First Amendment right to practice our religion without government interference. Continue reading. On June 4, 2012, former Planned Parenthood abortion clinic director Abby Johnson will launch the official website for And Then There Were None [attwn.com] a nonprofit organization that ministers specifically to abortion clinic workers. The purpose of the organization is to assist former abortion clinic workers as they transition out of the abortion industry and into a new line of work. “We have hundreds of ministries for post-abortive women and men. There is literally nothing for these former clinic workers,” Johnson said. “We are going to change that.” Continue reading.